This folio cover design kindle case with a sophisticated & sleek design is a Certified "Made for Kindle" accessory that fits Kindle Paperwhite, Kindle 6" and Kindle Touch. 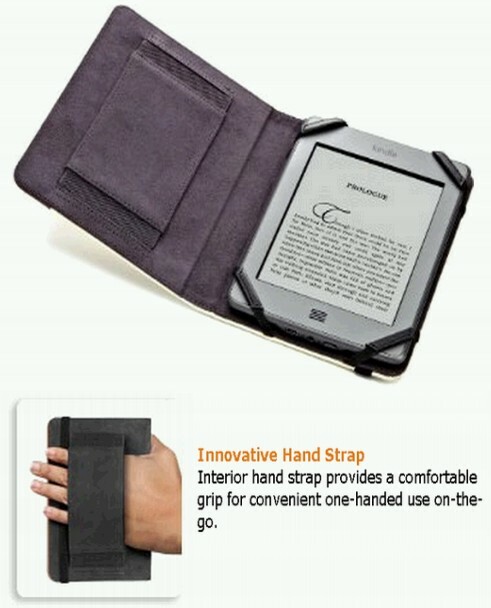 This durable case has a stylish protective exterior with a microsuede interior that guards against scratches and mild impact to your Kindle. The handy (pun intended) Interior Hand Strap improves one-handed reading. 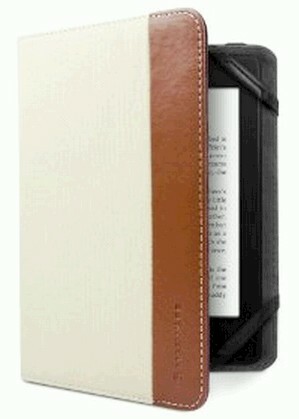 The convenient to use high-grade outer elastic strap secures the cover in both the opened & closed position.